Oyster sauce is one of the most important ingredients of most Asian dishes, and without it the meal cannot be. But what is Oyster sauce? Oyster sauce is a fermented, pungent soft mixture which adds distinct and lasting flavor to various Chinese and Thai dishes. The sauce provides perfect balance to sweet and salt, thus providing rich, earthy undertone thanks to the oyster reductions or extracts. Because sauce is not always readily affordable or available, there are various oyster sauce substitutes which you may have to consider at some point. Traditionally, oyster sauce was made by slowly simmering oysters in water. The simmering made their juices to caramelize to create highly flavorful, thick, brown sauce. Although you may you may manage to get sauce which is made this traditional way, most of them are made with shortcuts so as to save time and money. Most of the oyster sauces have sugar and salt base, which is thickened by using corn starch. The oyster extracts or essences add flavor to the base. Additional ingredients such as soy sauce or MSG can deepen the flavor or just add color. In today’s sauces, you may find that multiple colorings and preservatives and artificial colorings are used. 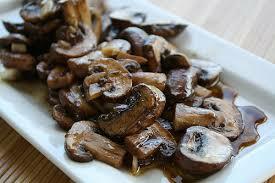 Oyster sauce vegetarian versions are made by use of mushrooms so as to mimic the deep, earthy oyster sauce flavor. These versions mostly use oyster mushrooms, because of their unique umami oyster-like flavor. 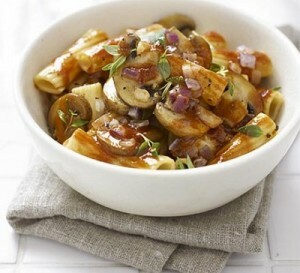 Vegetarian oyster sauce is one of the most common substitutes for oyster sauces. Essentially, this substitute is the same as standard sauce, but it lacks the oysters. If in your local store you do not find this substitute, you may consider other options depending on your personal preferences. Soy sauce and hoisin sauced work well but they will a little bit different. You can get similar taste from fish sauce but it won’t be vegetarian if that is your goal. This works well as substitute for oyster sauce but its texture is similar to that of the original sauce. Fish sauce source varies and can be made by use of raw or dried fish. It could be only specific fish variety or mixture of fish depending on the area. In preparing fish sauce, fish is placed in wooden box so as to induce fermentation. The fish are pressed slowly so as to produce fishy liquid. This type of sauce substitute is popular across the world and you will find it in many sauces and dishes. Also sometimes referred to as “Chinese barbecue sauce”, or “Peking sauce” this is a thick, dark, reddish-brown sauce which is mostly used for dipping, glazing and marinating. 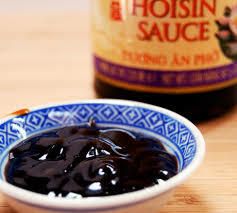 Hoisin is a Cantonese word which means seafood. 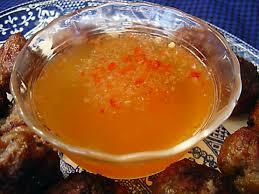 Because the sauce doesn’t contain any seafood, it is mostly used in preparation of seafood dishes. Soy sauce, as substitute for oyster sauce, gives dark brown color and salty taste. It is a very good alternative for the vegetarians and vegans, provides similar flavors. You should however keep in mind that oyster sauce is usually better and thus you should add half teaspoonful of sugar to every soy sauce tablespoon so as to match oyster sauce flavors. Also referred to as vegetarian oyster sauce, mushroom sauce, it’s the best substitute especially when it comes to flavor and color. The vegan alternative can serve as oyster sauce substitute in almost any recipe. It’s made by use of vegetable proteins and other several mushroom types. Its consistency is very similar to that of oyster sauce, a feature which makes it a very good substitute. 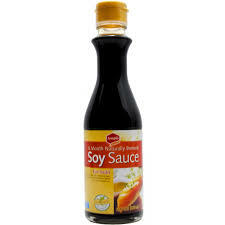 Mushroom soy sauce is a combination of mushroom sand soy sauce. It will give you flavor similar to that of oyster sauce. This mixture is soft in texture has deep mushroom flavor and slightly sweet taste. It’s made from fermented soybeans and mushrooms which produce rich mushroom sauce flavor. Its viscosity is similar to that of thinner soy sauce. Although homemade oyster will not have great taste like commercial oyster, it can serve as great substitute for those who do not have time to go to store, or just want to avoid some preservative. Granulated sugar – 1 to 2 teaspoons. Canned oysters’ liquid – 4 to 5 teaspoons. Soy sauce – 8 teaspoons. These can make ¼ to 1/3 cup. Oysters can be used for any other purpose because they are not required as recipe. You can refrigerate them for up to 14 days when you can use them. Begin by taking out about 4 teaspoons liquid from can of shucked oysters and putting them in a small bowl. In this small bowl add 8 teaspoons of soy sauce and whisk the liquids thoroughly. Light or dark soy sauce works well. If you do not have soy sauce you can use teriyaki sauce instead. Take one teaspoon of sugar, sprinkle it in to this mixture and let it dissolve. Taste your substitute for oyster sauce then add teaspoon of oyster sauce or sugar if necessary. Although you may add soy sauce if need be, exercise caution when doing this because the mixture may become too salty. Always remember to thoroughly mix the sauce. If you do not have plans of using your oyster sauce substitute straight away, put it in plastic container or airtight glass. This way, you can keep it for up to one week in a fridge. You can use some few more other ingredients and make traditional oyster sauce at your home. You can also use some ingredients to make vegan version of oyster sauce at your home. Previous articleDo Black People Get Lice?